You might get the chance to say goodnight to your darling little China kids, depending on what ILP school you go to — so adorable! A room full of 25 tiny sized beds, set side by side in rows. 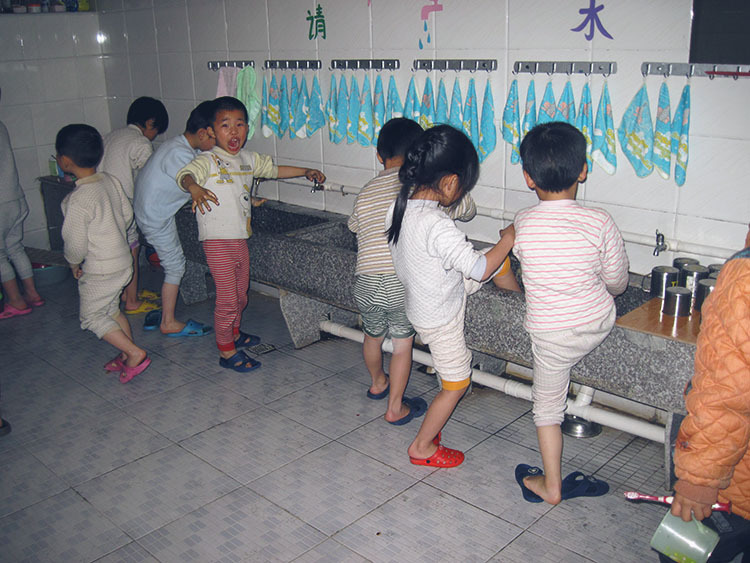 25 Chinese kids brushing their teeth, washing their feet, climbing into bed, and quieting down as their Chinese teacher flips the light switch to off. Now you get to tuck them in and whisper goodnight, one-by-one. Most Chinese students live at the school. Its a boarding school, so you will see rows of dorm rooms on campus filled with students who live there throughout the school year. At some schools, there are kids as young as 2 years old, and they attend until age 18 — their whole elementary-high school education at one school. While still in kindergarten (as most ILP students in China are) kids will eat, sleep, take classes and do homework together. At other ILP schools (like in Europe and Mexico), the students live at home so its common to only see them during class hours (unless their family invites you over). In Thailand there may be a few students who live at the school during the week that you can spend extra time with. But China is different. This provides a very unique opportunity for those who volunteer to teach in China to be able to spend quality time with the students outside of class time — like eating lunch with them, playing outside during recess or maybe even the chance to visit in the evenings while they work on homework or when they are getting ready for bed. 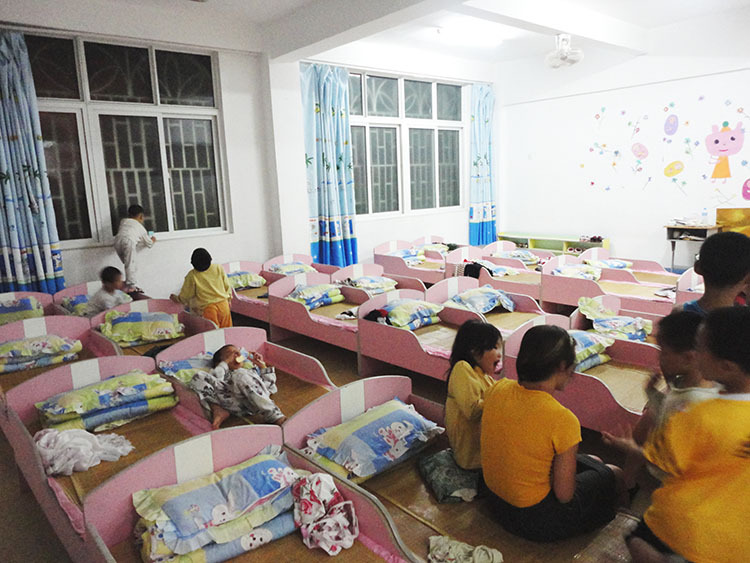 When Jen, an ILP head teacher in southern China, went over to see her kids at the kindergarten at night, there were times when the teachers there said the kids were already in bed and couldn't visit. They didn't go by an exact time schedule, so it was hard to time it just right. But, there was one night where she showed up at the perfect time. "When I walked in, the kids were having their snack and watching TV. They all ran over to me, hugged me, and were so excited to see me. I sat in one of the small plastic chairs and one of my students, 'Ella' as we named her, came over to sit on my lap. It took my completely by surprise because Ella was someone who was hard to control in class and gave me a lot of grief. She sat in my lap and offered to share her snack with me. The snack as it turns out was a chicken leg. Straight from the sweaty hand of a child. Mmm ... thanks, Ella. I took pieces and pretended to eat it all while shoving the pieces in my pocket when she turned her head. I had no idea she could be such a sweetheart." "Then I got to watch their bedtime routine. In each room there was a group of 25 kids. 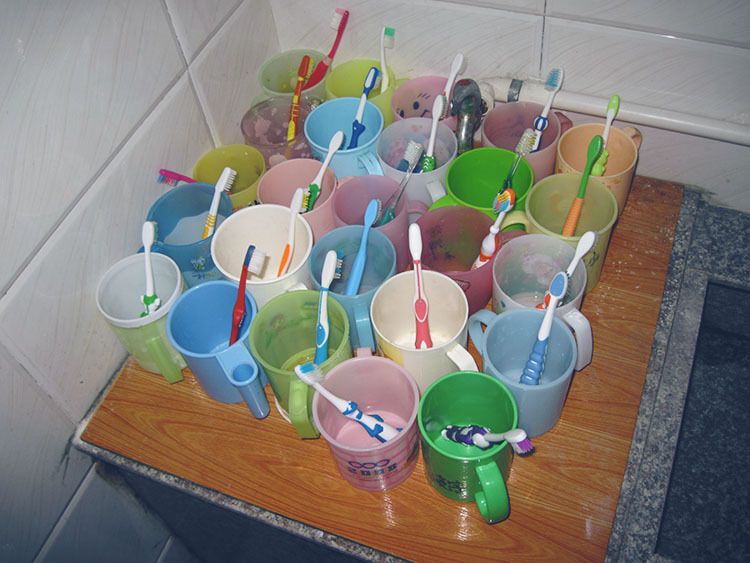 It was incredible to see the organized chaos as they all obediently changed into their PJs, washed their feet in the sink, brushed their teeth, and then climbed into bed. The 25 little pink beds were set side by side. I went to the side of each child's bed as they turned out the lights and hugged them and whispered that I loved them. They would touch my nose and then whisper goodnight in mandarin. I'm still not sure why they touched my nose, but it must mean something." "The Chinese teachers didn't really understand why I would want to do this. With their culture, the teachers don't really show that type of emotion toward the students, but it meant the world to me and I hope it had some kind of effect on my kids as well. Since the kids aren't with their parents and they don't receive much affection from the teachers at the school, it meant a lot to me. I felt like I could make a difference and give them something that they might not have gotten if I wasn't there. It was one of the most incredible experiences I have ever had and only wish I had started doing that earlier in my semester so that I could have done it more regularly." Awww, we love this! Just so you know, ILP students will quickly feel like "your kids" as time goes by and they will get so excited to see you around campus. Be conscious of the fact that they can easily get riled up seeing you, which makes things harder on their teachers (especially if it is near nap time or bed time). Be gracious and respectful of the time they allow you to have with your kids. 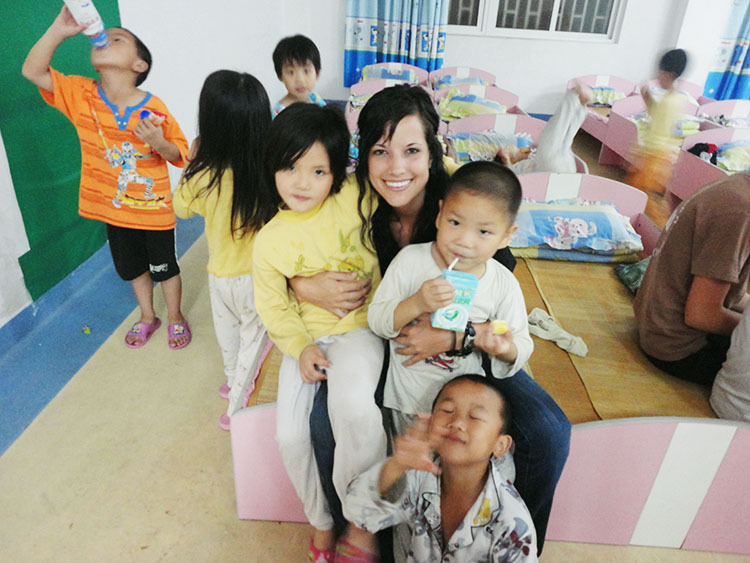 Get even more info about volunteering in China here! ILP is a non-profit org that sends volunteers to live for a semester in China, so click right here to learn more about that. We can help you have an affordable semester abroad .... just click below!